That’s the stark message delivered to government ministers in a business case prepared by state-owned school payroll service operator Education Payroll Limited (EPL). While the $182 million Novopay system fell off the news agenda since seemingly successful remediation efforts led by former finance minister Steven Joyce, the business case reveals core underlying problems remain and are becoming more threatening over time. The document, obtained by Reseller News under the Official Information Act, shows the software is still not fit for purpose and the fixes so far implemented have a high error rate and rely on awkward manual workarounds to achieve on time and accurate pay. A ten-year project is now underway to future proof the core education payroll engine and its Novopay Online component and to provide a path off the technology to either a new system or an outsourced solution. In addition to $26 million in capital expenditure, $3.7 million of additional operational spending will be required to fund the project. $11.4 million of capex is required in the first year followed by $6 million in the second. The document says the technology, which manages $4.6 billion in payments a year, is on “very old release” and uses outdated technical components that are close to or already out of support. 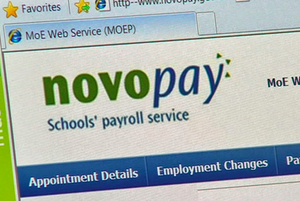 The online system used by schools, Novopay Online, is impossible to maintain and enhance. It was built around a specific feature of Oracle Application Server, support for which ends in December 2019. 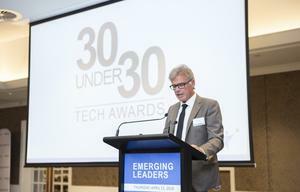 "This will leave Novopay Online without technical support for the key technology it relies upon," the business case says. "If problems occur with Oracle Application Server, Oracle will not provide support to resolve these problems. "This is an unacceptable situation for a critical piece of software with such a high impact on the operation of the schools sector. To resolve this issue, NOL will either need to be replaced, or significantly rewritten." That issue also limits EPL’s ability to achieve performance efficiencies and to support the Education System Digital Strategy, the document says. Furthermore, it also hampers the Ministry of Education’s pursuit of simplification and the delivery of a user-friendly online service. “The schools payroll still carries an unacceptably high level of operating risk,” the document states. 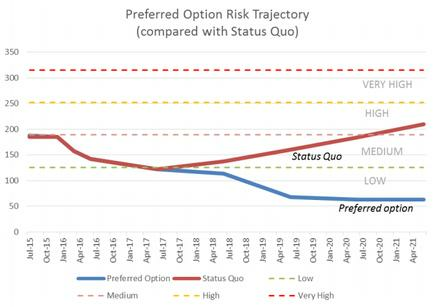 “While this risk will continue to fall over 2016/17, without investment this risk will start rising again from 2017/18, reaching 'high' in early 2020 as the technology platforms age. “This will lead to almost certain failure, affecting significant numbers of those paid through the service. EPL does not wish to repeat the early history of Novopay. This would have high financial and reputational costs for all. The business case was completed in October 2016, but EPL would not release it to Reseller News when requested in mid-2017 because decisions on further investment had not yet been agreed. Those decisions were finalised in October 2017 after a strategic review and Reseller News again requested the underlying business case in April. It was finally released last Friday. “The outcome of the Detailed Business Case is to fund the replacement of limited elements of the customer facing Novopay systems while retaining the underlying pay engine, Ascender Pay,” EPL said in a note accompanying the release. That will improve payroll accuracy, reduce the cost of the system and the administrative impact on schools, it said. The business case fleshes that out, saying the project delivers the lowest net operating cost for the Crown, addresses infrastructure risk, compliance issues, and provides an efficient operating model for schools, EPL and the Ministry. It also brings the schools payroll "into the truly digital age", it says. Schools are already using fully online administration systems such as Student Management Systems, Learning Management Systems, and accounting systems. Payroll will be of the same standard after project completion, providing a "user-friendly, digitally assisted, fully online system for schools to use to manage their pay." However, another cloud looms over schools payroll and remains largely unaddressed in the current project: fixing Holidays Act compliance issues that have struck a large number of government departments and private businesses. “The investment proposed in this business case will be required to ensure there is an adequate technology and compliance platform in place to support the Holidays Act remediation,” the document states. 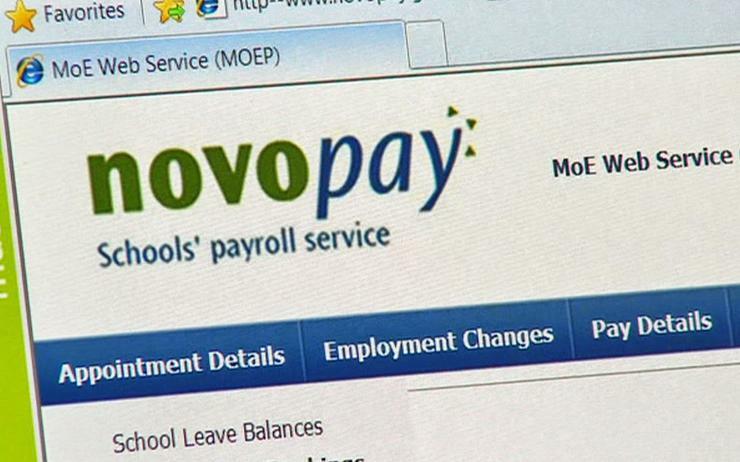 Novopay went live in August 2012 after a 10-year, $182 million deal saw Australian payroll provider Talent2 beat incumbent system provider Datacom. But the provider faced a huge challenge and required significant customisation to managing what could be the most complex payroll system in the country. It was also expected to deliver a range of services outside of its core payroll functions. Well-publicised problems including non-payment, under-payment and over-payment of school staff led to a Ministerial Inquiry and $41 million more being spent to stabilise the system. The creation of EPL and the transfer of the payroll from Talent2 in October 2014 formed a key part of the risk mitigation strategy. EPL says it has made significant improvements since 2014, addressing immediate technical infrastructure risk around people, data centre, hardware and operating platforms. Measured pay accuracy was “well within” the benchmark level of 99.5 per cent and school satisfaction with the service had increased. However, there were still other outstanding leave issues, namely long service leave, leave booking, and annual leave for 52-week staff. There were also outstanding software defects in tax, allowances, and deductions and error-prone manual workarounds were required. “As all transactions cannot be processed online by Novopay Online, the EPL operating model relies on 13,000 manual forms being processed every fortnight,” the business case explains. “This drives an inefficient service with high error and rework levels. The payroll can be improved through the simplification of collective employment agreements, EPL said, however this would not be a rapid process. Costings for the remediation project were developed though a market engagement led by EPL and the Ministry of Education in conjunction with the Education Council. Eight vendors were consulted: ServiceNow, Datacom, AMS, Fronde, Ascender HCM, Diagram, Asparona (Deloitte), and Davanti.